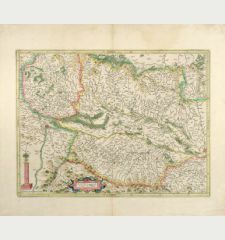 Coloured map of Haguenau, Strasbourg, Alsace. 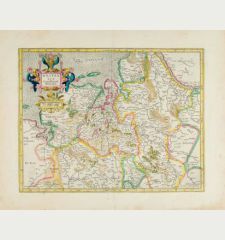 Printed in Amsterdam by J. Jansson in 1628. 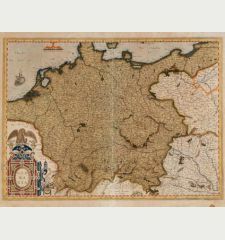 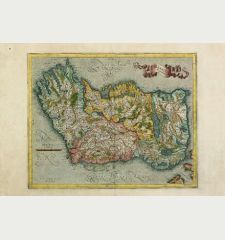 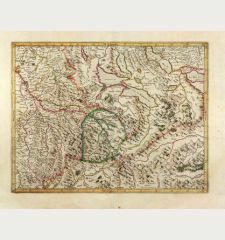 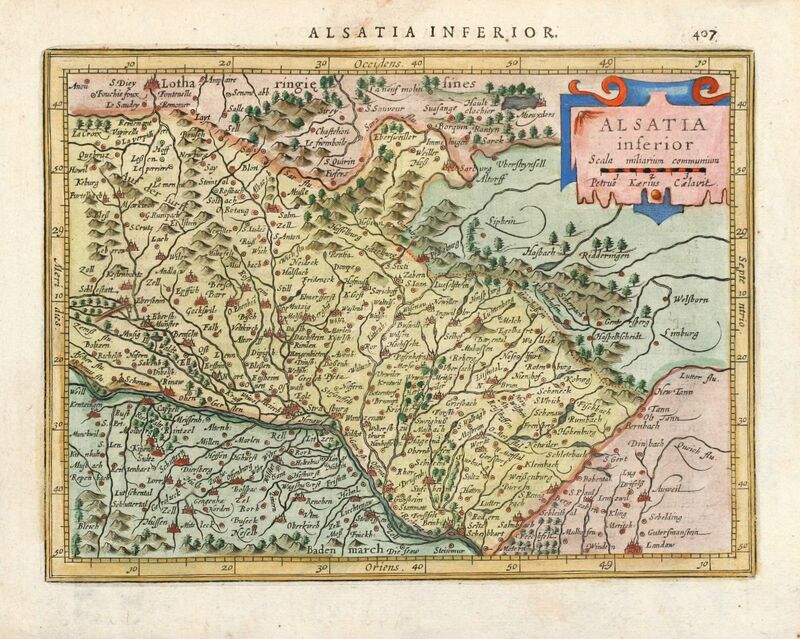 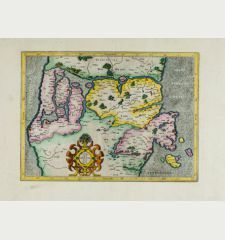 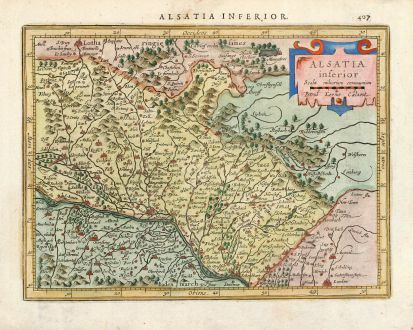 Nice coloured map of the Alsace from Mercator-Hondius "Atlas Minor". 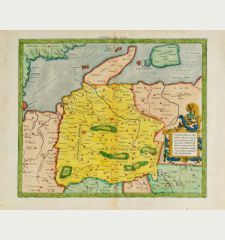 Covering the area around Strasbourg.